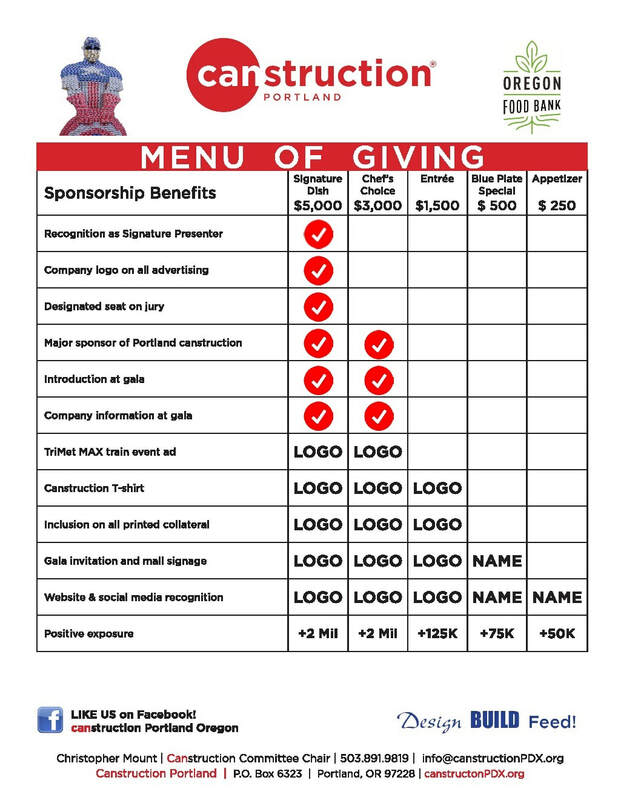 Did you know Canstruction Portland is now officially a 501(c)(3) tax-exempt organization!? We will provide your organization with a letter as a receipt for your donation. Thank you so much for your support of canstruction Portland, we could not do it without you!